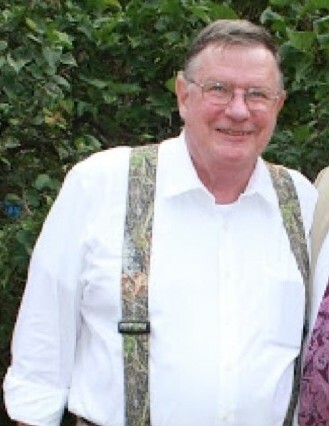 Richard C. Fitch, 73, of Parker, CO, passed away peacefully with family at his side on February 6, 2019. Rick was born April 18, 1945 in Chanute, KS to Warren and Martha (Peters) Fitch. He attended and graduated from Chanute High School in 1963. He graduated with a teaching degree from Kansas State Teacher's College in Emporia, KS. On May 25, 1968 he married Katherine (Kathy) Barber in Wichita, KS. Rick lived a majority of his adult life in Ulysses, Scott City and Wellington, Kansas. Rick taught High School Spanish in Ulysses, KS for several years, and also served as a well-loved coach to many youth in various sports. After his teaching career, Rick worked in road construction and the trucking industry. He and his wife owned and operated First Edition Book Store in Wellington, KS. In 2007, Kathy passed away and Rick moved to Parker, CO. In 2008 he opened the Poor Richard's Book Shoppe in Parker, which is still an active business. He enjoyed watching his grandchildren and traveling yearly to Playa Del Carmen, Mexico. Rick is survived by his daughter, Melissa (Mark) Foley of Aurora, CO, grandchildren, Jacob, Kathryn and Emma Foley, also of Aurora, CO. Also survived by his sister, Cynthia Springer of Chanute, KS, and her children, Daniel Ray Springer of Princeton, TX and Selena Miller of Fredonia, KS, brother, Warren Fitch, Jr. of Prosper, TX, and his children, Ashton Fitch, Dresden Fitch, both of Prosper, TX and Scott Fitch of Ashland, OR, sister-in-law and brother-in-law, Karen and Jim Muir of Parker, CO, and their children Lindsay Embree of Park City, UT and Brad Muir of Center Barnstead, NH. Rick was preceded in death by his parents and wife, Katherine. A Memorial Service will be held at 2:00 p.m. on Thursday, April 18, 2019 at St. Matthew's Episcopal Church, 19580 Pilgrims Place in Parker. A Reception will immediately follow the Service at Poor Richard's Book Shoppe, 19402 E. Mainstreet in Parker.